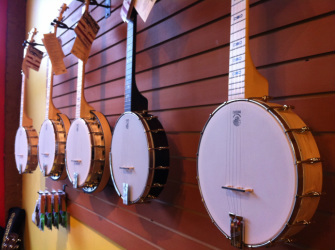 Deering Goodtime banjos are back, and selling fast! We have always relied on the Goodtime to provide that perfect sweet spot of affordability and quality. These banjos are the perfect instrument if you're just starting out, or if you want something a little less fancy than your Huss & Dalton to take out to festivals. High Strung is the place to be! 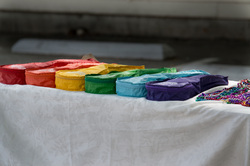 From concerts to open mics, from quilts to sculpture, we embrace Durham's art scene each month. Our rotating art exhibits highlight local painters, sculptors, fiber artists and more. Our concerts range from flute/marimba duos to string quartets. Check our Facebook page for details each month or sign up for our emails and never miss Durham's coolest Third Fridays again!